Estrimont Suites & Spa—nestled in the heart of a magnificent lake and mountain region—is the preferred business resort for conference room rental in the Eastern Townships. 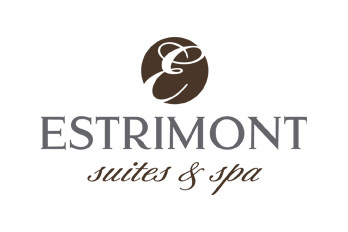 Spacious fireside suites, meeting rooms with the best views in the area, gourmet dining, and natural beauty – Estrimont Suites & Spa has everything to make your business retreat a success. Make your event a success by putting your trust in us. We offer seven meeting rooms with spectacular views (five feature the mountain as a backdrop) that seat anywhere from 5 to 350 guests—it’s the next best thing to holding your meeting outdoors! For us, the success of your event has to go through the three keys of success. What are the keys of success? It’s necessarily a tight collaboration between you and our team with one goal in mind : making sure your event is a success. Therefore, our dedicated team is available to assist you before, during and after your events. Whether it is for a reception, a conference or a meeting, a maître d’hôtel will be there to supervise all operations and make sure everything is meeting your expectations. Looking for new inspiration for your event? We have some ideas for you! Take a look at our great variety of business packages to inspire you in the planning of your event. Our sales team will work with you to create a menu that suits both your needs and your budget. Five-course banquets, casual BBQs, and cocktail receptions are just some of the options available. Spice up your event with an activity held right here at the hotel. Indoors or outdoors, our site is ideal for group activities. You prefer going out? No problem! The Memphremagog region has plenty of activities for you to explore.